Eleaf Lemo 3 Atomizer With RTA Base, either can be used as replaceable atomizer, and as rebuild-able RTA atomizer for self design. With Top E-liquid Filling and Smooth Airflow, Type A and Type B for your choice. Eleaf Lemo 3 Atomizer With RTA Base, it is an atomizer in 22mm with 4ml maxim capacity. With Innovative Interior Design and Detached & reassembled structure, it not only can be used as replaceable atomizer, but also can be used as rebuild-able RTA atomizer for self-design. With New Clapton Coil, you will get satisfied vaping experience with amazing flavor and nice cloud. Its Top E-liquid Filling design helps us can easily refill from the top, which becomes more convenient when vaping. What’s more, the Smooth Airflow structure brings a clear flavor and better taste, which contracted those vapor so much. You can select Type A or Type B.
Screw off the atomizer base, loose the 2 screws on the RTA cap and take the RTA cap off. Fix the pre-made or self-built coil on the RTA base, activate the coil with your device till it goes red, and then put the cotton through the coil after the coil cools down. Drip a few drops of e-liquid directly into the pre-made or self-built coil to make it fully saturated before use, put the RTA cap on and tighten the screws, and then screw the atomizer tube onto the atomizer base tightly. Screw off the top cap from the atomizer, slowly fill e-juice into the atomizer along the glass tube and screw the top cap on tightly after filling. 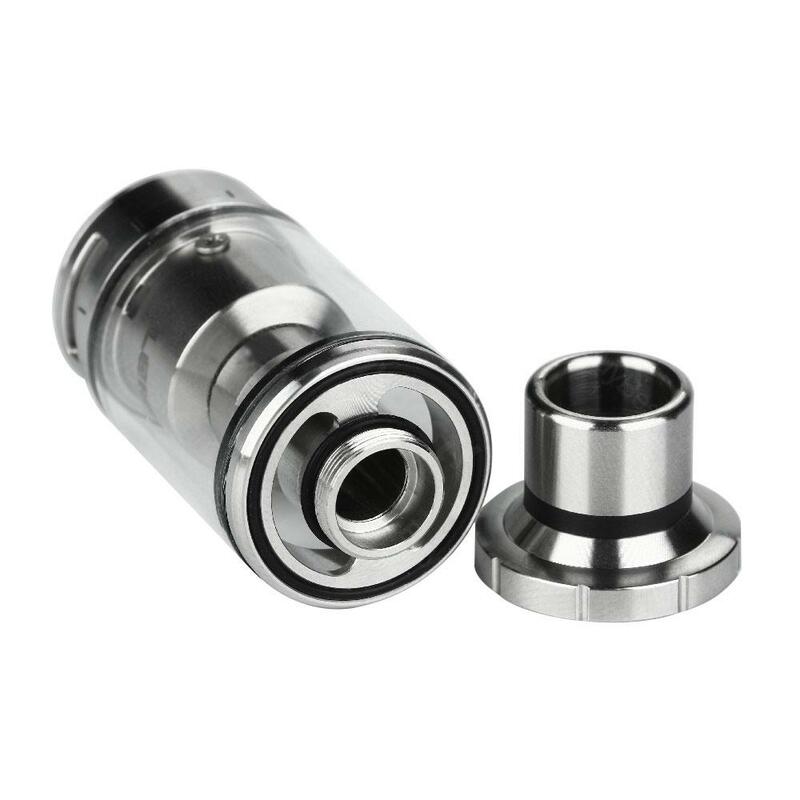 The airflow can be adjusted by rotating the airflow control ring on the atomizer base. Finally the Lemo 3 as RTA is ready for use. Take off the RTA base from the atomizer base, and fix the atomizer head base on with screws tightened. Drip a few drops of e-juice directly into the atomizer head to make it fully saturated before use, screw the atomizer head onto the atomizer head base tightly, and screw the atomizer tube on. Finally Lemo 3 atomizer is ready for use. • You can buy EC Head (0.3ohm/0.5ohm), EC Head - Ni (0.15ohm), EC Head - Ti (0.5ohm), RTA Base & RTA Cap, Mouthpiece, Atomizer head base and Glass tube. All the rules except that the order Al shipping from russia to russia and the first time for processing took 5-7 days, i did not wait any longer and canceled the order. And when i ordered the second time it went faster. I liked the tank itself, it does not flow. Soars well. I advise you. Бак старой модели, но довольно не плох. Главный плюс - диаметр 22мм. Спокойно накручивается на Picoб и прочие одноаккумные моды. Из недостатков - два маленьких болтика, которые надо открутить и не потерять во время замены ваты. также, если заливать жижу до упора, можно получить протечку, так как отсутствует перекрытие жижеподачи. В целом, впечатления положительные. Eleaf Lemo 3 Atomizer is a good choice for who like both pre-made coil and building coils.